The story of the spiritual journey of the famous Tibetan yogi Milarepa is often told, but less well known are the stories of his encounters with those he met and taught after his own Enlightenment, eleven of which are the catalyst for volume 18 and volume 19 of the Complete Works. The story of the spiritual journey of the famous Tibetan yogi Milarepa is often told, but less well known are the stories of his encounters with those he met and taught after his own Enlightenment, eleven of which are the catalyst for volumes 18 and 19 of the Complete Works. The first three were originally published in The Yogi’s Joy, and to these have been added an intriguing fourth, ‘The Shepherd’s Search for Mind’. 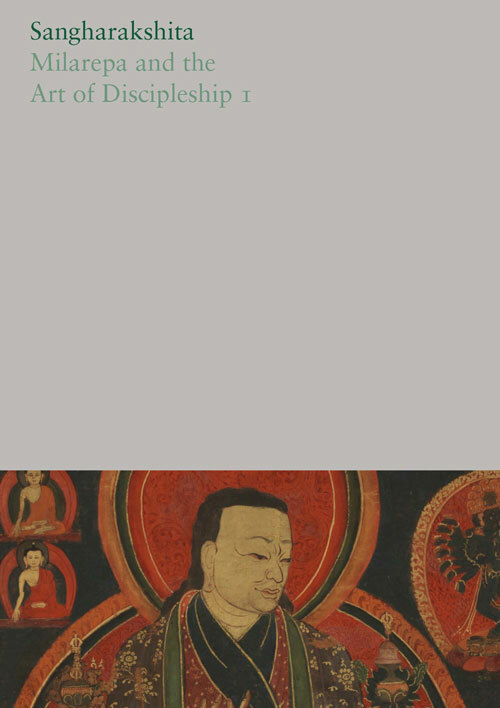 The other seven stories form a sequence tracing the relationship between Milarepa and his disciple Rechungpa, from their first meeting to their final parting, when Rechungpa is exhorted to go and teach the Dharma himself. As portrayed in The Hundred Thousand Songs of Milarepa, Rechungpa is a promising disciple, but he has a lot to learn, being sometimes proud, distracted, anxious, desirous of comfort and praise, over-attached to book learning, stubborn, sulky and liable to go to extremes. In other words, he is very human, and surely recognizable to anyone who has embarked on the spiritual path. He all too often takes his teacher’s advice the wrong way, or simply ignores it, and it takes all of Milarepa’s skill, compassion and patience to keep their relationship intact and help his unruly disciple to stay on the path to Enlightenment. Sangharakshita’s commentary is based on seminars he gave to young, enthusiastic but as yet inexperienced Dharma followers, and while much can be gleaned from it about the path of practice of the Kagyu tradition, the main emphasis is simply on how to overcome the difficulties that are sure to befall the would-be spiritual practitioner, how to learn what we need to learn – in short, the art of discipleship.